In case you missed the announcement last month, Verizon is activating another 22 markets today with those ever so capable 4G LTE speeds. 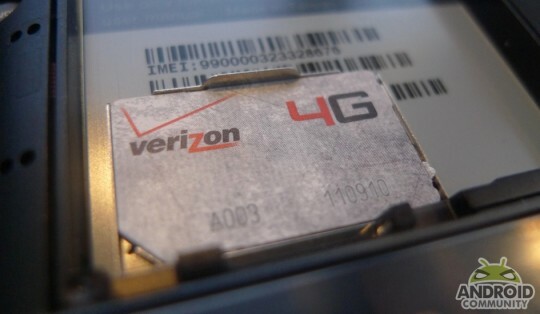 Many of the recently announced locations have already seen the 4G speeds hit devices but they are all officially getting the green light starting today, so start your engines — or smartphones. With over 26 new markets last month and now another 17 today Verizon is well on their way to having the entire US covered in 4G LTE soon. Compare that to the what — 5 markets AT&T has rolled out thus far. Lets just say they have their work cut out for them. It seems like every other week Verizon is announcing another 15-25 markets, I’m not complaining either, just saying. -Bloomington, Elkhart, Evansville, South Bend and Terre Haute, Ind. -Albuquerque and Santa Fe, N.M.
-Greater Hampton Roads and Richmond, Va.
Verizon knows they have a fast network, and that no one will be catching up to the size anytime soon. For those that would like a decent laugh this afternoon Verizon has provided us with not one, but five awesome new short video clips showing off their 4G LTE. Calling these the five “instant results” commercials. Below you’ll find my favorite as an added bonus.